Vata during the summer begins to accumulate. If Vata predominates in your constitution, you probably want to make sure that you do not overextend to the dryness of summer. So you have to concentrate on enjoying the heat while you relax and stay hydrated. As a seasonal change, it is always necessary to change in daily routines. To consider the variations it is necessary that it is done in a natural way. One natural way is that we can introduce the Ayurvedic diet to maintain our body balance. According to Ayurveda basic principle, if there is an excess of a particular substance in the body, the similar and the contrary forces serve to cure. It is mostly due to abuse in the food of the same type that causes unbalanced. That is to say, in order to balance ourselves bodily, we must counteract the heat of the base itself, or at least, not increase it. In other words, you have to avoid too hot, spicy, acidic and salty foods to counter heat in the body. The rise of temperatures in summer acts on our body by increasing the Pitta Dosha. People with a predominance of this dosha should be especially careful since an imbalance (by an increase) of it can lead to diarrhea, heartburn, sunburn, hot flashes, fatigue, acne and other types of skin rashes. At the same time, the increase in temperature typical of the summer season can negatively affect our emotions. Anger and impatience increase in the summer and, according to some statistics, crimes and other violent crimes also increase. As a rule, the body itself, which is wise, tends to demand the type of food that will make it feel better. In spite of this, we are going to give you four basic tips here so that you know how to take an adequate Ayurvedic diet for summer. Enter a greater amount of sweet foods into your Ayurvedic diet for summer. When talking about sweet foods we are not referring to cakes and sweets. Basmati rice, bread, and ripe fruits could be good summer foods. 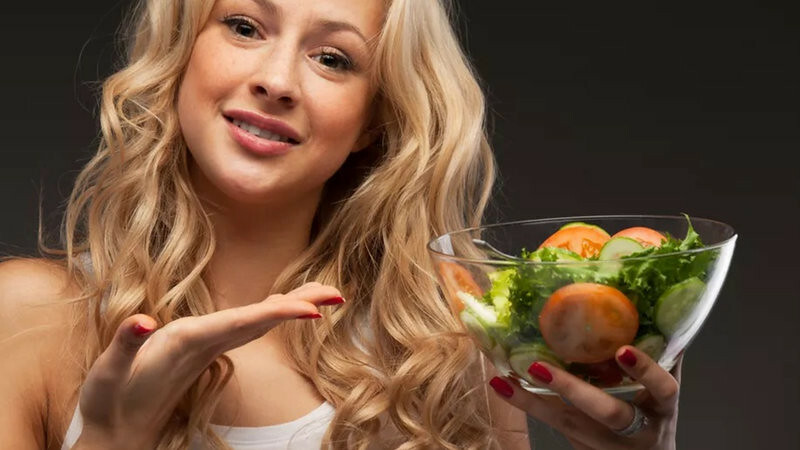 Introduce astringent and bitter foods into your diet. Increase the intake of light dishes that have among their ingredients with pumpkin, courgette, cucumber, fresh asparagus, broccoli, cauliflower, salads, wheat, ghee, fresh cheese, olive or coconut oil, herbs and spices such as mint, cilantro, fennel, rosemary, turmeric or fresh ginger, cardamom, cinnamon and saffron. Eat smaller portions and increase the number of times you eat a day. 5 or 6 times can be a good number as long as the ingested dishes are moderate each time. Eat cold dishes like gazpacho. Salty, acid and hot foods. Eggplant, radishes, beet, and tomatoes. Rye, corn, millet, and buckwheat. Acidic and not ripe fruits. Spicy spices (anise, chili, cloves or cumin). Another very important aspect to keep in mind that if we want to maintain an adequate Ayurvedic diet for summer it is necessary to know what we can drink and what not. The fact that is, in summer we transpire more which forces us to increase the number of liquids. Of course, we must always keep in mind what drinks we drink and how we do it if we want to respect the principles of Ayurveda and, thus, balance our doshas and our organism. A refreshing drink from the fridge or with ice should not be consumed. Why? Because the excess of cold in the drink weakens the digestive fire. Although at first, you may feel freshness after that first sensation the body temperature increases. Avoid drinks, like alcohol, black tea or coffee as it can aggravate Pitta, the dosha are most sensitive to the arrival of summer and the one that tends to become more unbalanced with it. Consume mint and lemon infusions with a little sugar if you want to fight the heat. Eat sweet lassi, lassi besides being a very refreshing drink, also serves to calm the gastrointestinal tract. Consume herbal teas such as fennel, lemon balm, mint, liquorice or rose. Many people who want to follow an Ayurvedic diet for summer wonder if fresh beer, so common in our culture and so present in our leisure time, has a place in our Ayurvedic diet for summer. The answer is yes (provided, logically, it is consumed in moderation). Do not expose yourself too long to sunlight. Protect your head in some way (hat, hat, handkerchief …). If you practice some kind of sporting activity, do it calmly and without overdoing it. Among the most recommended physical activities for summer include swimming and walking outdoors. Perform relaxation activities (yoga, meditation, breathing exercises, etc.) to reduce the tendency to excite or irritation due to heat. Receive messages with coconut or sunflower oil. Body massages will not only serve to refresh you but also hydrate skin. Massage will also serve to highlight skin that has a tendency to suffer irritation, itching, etc.